AI has been around in computer games for a long time – back to the early 1950s. It received a boost when games such as checkers and chess were computerized, then again when agents within shoot ‘em up and adventure games had ‘intelligence’ in terms of their skills and behavior. Much of this was quite simple AI but a new development promises to introduce AI into gaming in a way that blows all of this out of the water. Microsoft, who own Minecraft, will allow researchers and gamers to use the open-source AIX software to introduce AI. This is a real breakthrough, as it gets us away from device fetish around things like the BBC Micro:bit. It makes the Micro:bit look like the 1970s idea it actually is. Kids use computers and consoles, not circuit boards. This is AI being outsourced and used by millions, not pokey little bits of hardware that are difficult to use. Putting AI into the hands of millions of smart young people, and researchers, will accelerate no-end of useful and as yet unimagined uses. Microsoft were not the first to release open source AI software, Google have been there, along with others. Nevertheless, when Minecraft was sold to Microsoft, its Xbox sales rocketed. My mate Chris van der Kuhl was behind all of this and is still a key player in the delivery of Minecraft. Having changed the entire games landscape and captured the imagination of million of young people, it is the perfect platform for the introduction of AI. This is what will change the world, not tinkering around with computer science curricula in schools or sending them gadgets, months late. You’ll be able to embed AI in characters, things and processes, running experiments and introducing a whole new level of interactivity within the already highly, interactive Minecraft environment. Millions of imaginations will be able to embed and run AI, at no cost. But what really makes this sing is the open-ended nature of Minecraft. That gives the AI room to develop and breath. AI in its many forms (remember that it far from being one thing) can be used in hundreds of different ways within these environments. It is not all about creating characters who behave like humans. It’s also about new forms of AI that do things humans can’t do. Embedding intelligence in objects, perceptual intelligence, predictive intelligence and, the big one, the ability for such systems to learn from their own actions. Machine intelligence is self-generating. It gets better as it plays with others and plays itself. Using AI within an open, 3D creation environment is (yes I will say it) a game changer. With Minecraft in VR, it gets even more exciting. Forget LEGO. 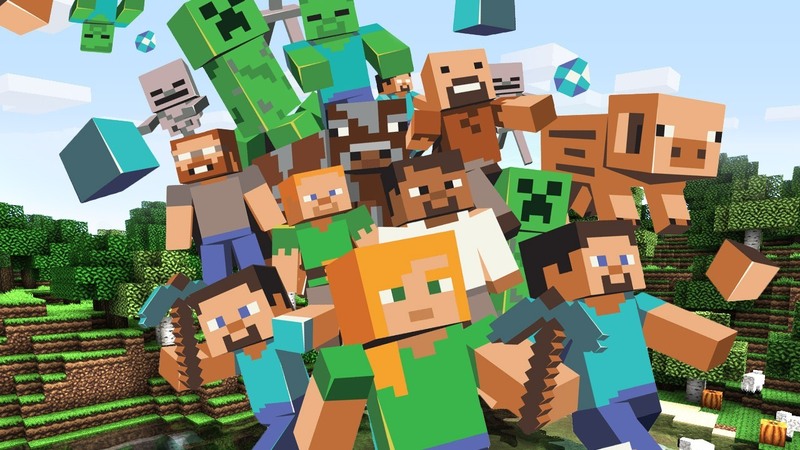 That’s a bunch of tired, old execs still stuck in the world of over-priced, coloured plastic blocks, promoting Disney, Star Wars and other worn-out franchises The new world of gaming is upon us with Minecraft and AI. That’s what excites kids today and this opens up a new era of intelligent making, building and creating. The world literally is their AI oyster. One of the things I liked about Minecraft was that it was another example of "Substance over style". The clunky crude block graphics did not turn off kids who could see the potential for fun. Lucky it did not have to go through a corporate quality assurance or product design process. (I still like Lego and my kids love it).